A cataract is a clouding that develops in the crystalline lens of the eye or in its envelope, varying in degree from slight to complete opacity and obstructing the passage of light. It is the most common cause of blindness in the world and is conventionally treated with surgery whereby an intraocular lens is inserted in the eye. 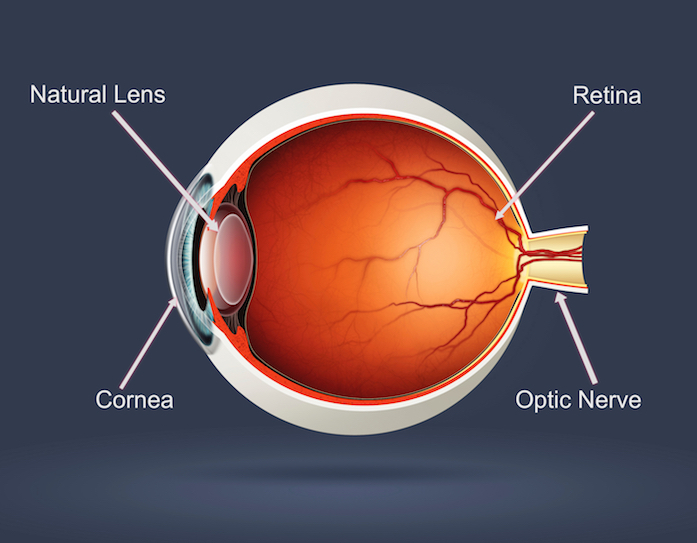 Visual loss occurs because opacification of the lens obstructs light from passing and being focused on to the retina at the back of the eye. The lens is situated inside the eye, immediately behind the iris. Its function is to focus light on to the retina. Consisting of a clear, jelly-like substance, the lens is responsible for 33% of the focussing power within the eye with the remaining 67% being accounted for by the cornea. 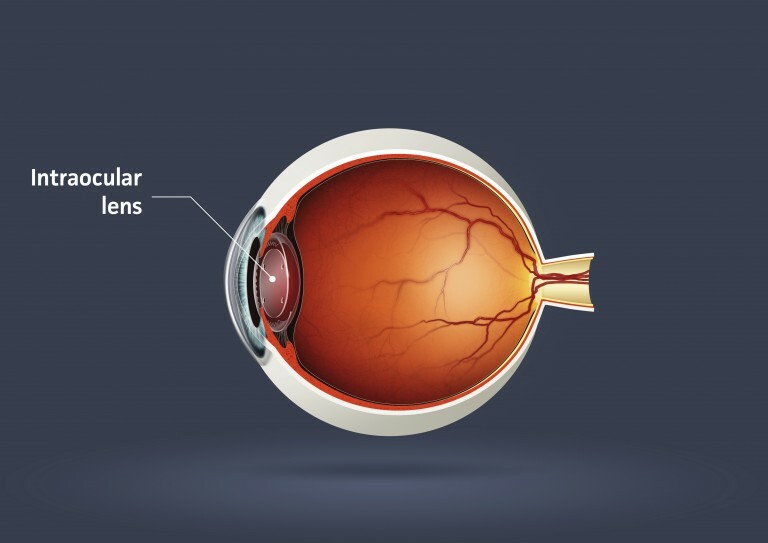 Cataracts develop for a variety of reasons, including long-term exposure to ultraviolet light, exposure to radiation, secondary effects of diseases such as diabetes, hypertension and advanced age, or trauma (possibly much earlier). A cataract usually develops slowly over years and gradually degrades your ability to drive at night, read small print, and achieve excellent vision with both glasses and contact lenses. Sometimes a cataract develops over several months. Rarely, a cataract appears to develop suddenly; this is usually because a patient covers the good eye and suddenly recognizes he or she has been relying on the opposite eye. The only proven treatment that is effective and reverses the effect of cataract is surgical removal of the natural lens and implantation of an artificial lens. Most cataract surgery is performed by ultrasound, in a technique called ‘phacoemulsification’. The most precise and advanced method for removing cataracts now is with femtosecond laser technology, also known as ‘Femto Laser Assisted Cataract Surgery’ (FLACS). At LaserVision, we are the only centre to use the Ziemer Z8 Laser technology. which is proven to be the fastest and lowest energy laser in the world. Surgery also offers the opportunity to reduce dependency on glasses and contact lenses by choosing a bespoke premium lens. Your consultant can discuss these options with you during a consultation.